When the angel visited Mary, Jesus' mother, to tell her that God chose her to give birth to his son, she trembled with fear. Noah's wife stood in awe of the rainbow, God's sign of promise. The woman, who touched Jesus cloak with enough faith to be healed, humbled herself before her Lord. When I read the Bible, I try to picture how people like Rahab, Daniel or Lydia really lived. Did they have feelings like I do? What did they think? How did they deal with a lack of faith or loss of hope? Anita Higman answers my questions as she paints intimate portraits of forty individuals from Biblical times. Through in-depth fictional character sketches and specific scripture, she creates a colorful slice of each person's story. With emotion and clarity the writing brings the people to life as it pulls the reader in to Old and New Testament times. Complimented by the life applications and questions to ponder, each devotion offers wisdom and encouragement. This is just one of the wonderful books that Anita has written. A prolific author in several genres, Anita writes from the heart. Her deep relationship with God guides her as she works. Let’s hear what she has to say about the writing journey. 1. Anita, you’ve spent your career writing stories, so you must have thought about this before—why do you think God uses stories so often to communicate his truth? I believe Jesus used storytelling (parables) because he knew that we could truly relate to this form of communication. After all, our lives are like living storybooks with each chapter being written every day. Stories go right to our hearts—stirring us, challenging us, inspiring us, changing the way we think. And most importantly, ever moving us toward redemption. 2. You are an award-winning writer, a best-selling writer – you are still writing fiction, also, right? Or have you achieved all you set out to do with your fiction writing? Yes, I’m still writing novels, and I hope to do so for the rest of my life. I have dozens of stories yet to tell. I just hope people will continue to want to read them! 3. How do you see this book being used? I believe Where God Finds You would make a good book to read while you’re sipping your morning coffee, or it would work well for a group Bible study. 4. What did the experience of writing these stories bring into your own life? I have never felt so close to God as when I was writing this book. The experience felt a little like when you turn up the volume on your phone, and you can hear someone’s voice with more clarity. But it was also sensing his nearness—the warmth of his love and the light of his presence—that also made me well up each morning with worship and wonder and gratitude. 5. Why did you decide to tackle this particular subject matter? Good question. I generally write contemporary romantic fiction, so working on a devotional book infused with Biblical fiction was not an easy task. Also, I’m not a Biblical scholar, so at first I was overwhelmed, knowing how much research it would take to write a book of this kind. In fact, I said no to the editor who’d asked me to take on this project, but then he asked me to pray about my decision. That weekend I did pray about it, and felt strongly that I was meant to write this book. I may not have a degree in theology, but I did want to be obedient to God. 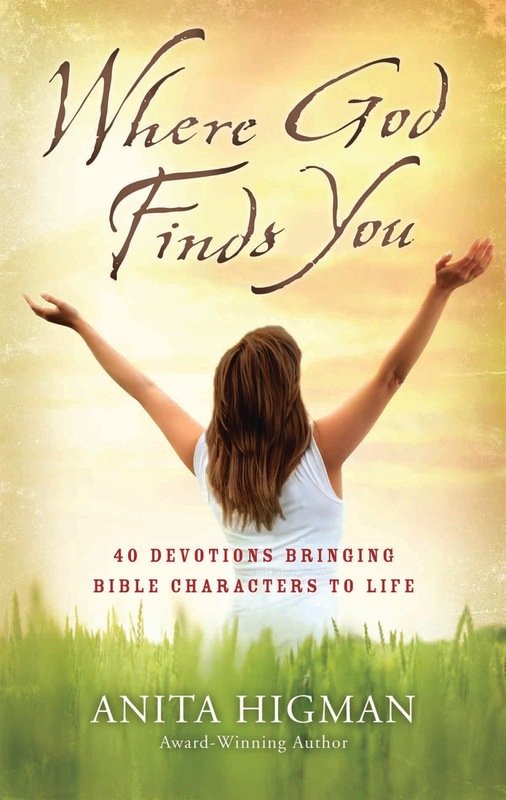 Writing this devotional book, Where God Finds You, turned out to be an amazing experience. 6. What do you think readers will take away from the book? My hope is that people will enjoy discovering how relevant the Bible stories are to our lives today. I wanted to bring the characters to life and show that these ancient people were very much like us with similar hurts and tragedies, hopes and transgressions, joys and triumphs. Even though the culture was dramatically different, our hearts are the same. Those famous Bible folk needed God back then just as we need him in our daily lives right now. 7. What do you like about this book? Getting to know these Bible characters and writing their stories in first person was a seemingly impossible undertaking, and yet the experience inspired and encouraged me. I hope readers will be equally moved. 8. Beyond your research, did you do anything special to prepare for a day of writing Biblical fiction? During the months of research as well as the writing of this book I held to the routine of listening to the scriptures on CDs while I was in my car running errands and while I was getting ready in the morning. I did this hoping to absorb the Bible’s rich language, dramatic metaphors, and epic nature. In the end, this technique of preparing my mind for the day’s writing worked well. On some days the words flowed with little effort, almost like taking dictation, and on other days I struggled to complete one or two pages. But amidst my routine and aching back from long hours at the computer, the one thing that helped me more than anything was prayer. God really was faithful in helping me prepare this devotional book. 9. Do you have a favorite Bible character? If I were to choose a favorite Bible character, I’d say that I was drawn to Mary Magdalene. I wept when I read the exchange between Mary and Jesus just outside the empty tomb. I could not only see the Jesus who loved the masses, but I could see a more intimate portrait—the Jesus who loved Mary Magdalene as a precious friend—the same Jesus who loves me and you. 10. Any other thoughts about the book that we didn’t cover? Bestselling and award-winning author, Anita Higman, has thirty-five books published (several coauthored) for adults and children. She’s been a Barnes & Noble “Author of the Month” for Houston and has a BA in the combined fields of speech communication, psychology, and art. Anita loves good movies, exotic teas, and brunch with her friends. 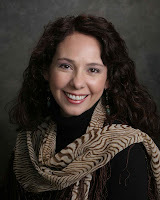 Please visit her online at www.anitahigman.com and feel free to drop her a note by clicking on the “Contact Me” button on her website. A great interview and it sounds like a great book! Thanks for sharing :). This is by far my favorite devotional book. I hope you get to read it.